Value-driven entrepreneurship was the theme of the 2017 edition of Nyenrode Business University’s Henk van Luijk lecture. This lecture, in memory of Nyenrode’s first ethics professor, is organized annually in close collaboration with VNO-NCW (the Dutch employers association) and MVO-Nederland (CSR Netherlands). Here are my key takeaways from the inspiring session. 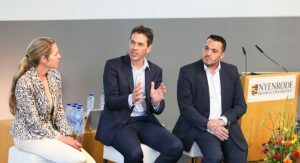 Nyenrode’s professor Sustainable Business and Stewardship André Nijhof provided an analytical introduction to the topic, using Nicolas Rescher’s validity of values as a framework to look at companies. 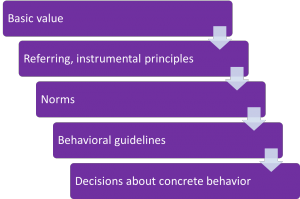 Ideally, within a company, the values, principles, norms, behavioral guidelines, and reactions to concrete behaviors are coherent with each other. Norms don’t exist for the sake of norms, but rather are derived from the company’s basic values and the referring principles that stem from those values. This value ladder shouldn’t just exist in the heads of a handful of leaders, but be clear to all employees. To highlight the impact of a clear value ladder, he then compared two organizations. In both, the norm is to take time for conversations and in both, this translates into a manager taking time every morning to talk to everyone in the team separately. The response to that behavior can be very different, depending on the basic value at the foundation of that norm. If the underlying value is sociability, paired with having fun at work, people may respond to that daily chat positively. This manager really understands what it means to create a nice atmosphere at work. If on the other hand, the underlying value is transparency, paired with open communications, then the norm of taking time for conversations still applies. But people might then consider spending time in one-on-one conversations every day both a waste of time and less transparent. In norm-driven organizations, clear norms and targets steer the behavior of employees. Behavior and results are monitored against these norms, resulting in either sanctions or rewards. Without insight into the underlying values and principles behind the norms, distrust becomes the foundation of human relationships. In this environment, you can force people to conform to the norm, but at the risk of crowding out intrinsic motivation. And at the risk of fraud and scandals. So is the answer to ladder up and focus on value? Not exactly, especially when the focus is solely on an organization’s own values and value. When moral righteousness is the guiding principle, blind trust becomes the foundation of human relationships. People expect others to share these values and act upon them. And they will condemn any behavior that deviates from this focus on value. Instead, professor Nijhof argues, the value-driven company is what we should strive for. In these organizations values provide meaning to concrete behavior and the underlying norms. These organizations are able to find the right balance between the norms and the values. With values as the guiding principle, experience-based trust becomes the basis for human relationships. A joint set of values creates a sense of purpose and connection. A clear purpose makes it much easier to delegate responsibility and for people to apply all of their talents (wholeness). It also provides great autonomy, combined with transparency and accountability. Value-driven companies have greater potential to strengthen the pride people have in their work, brand, company or industry. Instead of assuming that productive people are more successful and are therefore happier, the underlying belief in value-driven organizations is that happy people are more productive and therefore make the company more successful. And this brings us back to Nijhof’s opening paradox. The companies that focus on values like sustainability from an intrinsic motivation are the ones that reap the most financial profit in the long term. After the theoretical framing of the afternoon, two companies shared how they create value. And how they hold on their values, together with their employees, clients and other stakeholders. Birgitta Kramer, sustainability manager at water company Vitens, told the story of the transformation from a utility that everyone took for granted to an inspiring organization with a clear why: Valuable water for now and the future. And Gerwin de Vries, managing director at graphic media company Zalsman, shared great results of their commitment to the health of their employees. He closely linked this people-focus to Zalsman as a family-owned business. These examples made it very clear that employees have much greater potential is value-driven, sustainable companies. They are better able to lead, they can be more entrepreneurial and have a clear purpose to guide their actions. 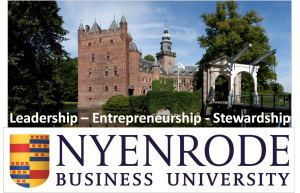 Perfectly aligned with Nyenrode University’s mantra of Leadership – Entrepreneurship – Stewardship. It brings us back to a beautiful quote from the late Henk van Luijk. Written by Marjolein Baghuis (@mbaghuis). 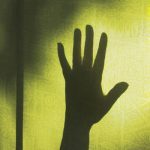 To read about interesting people, book reviews and other posts about sustainability, change, and communications please subscribe to the Change in Context blog.